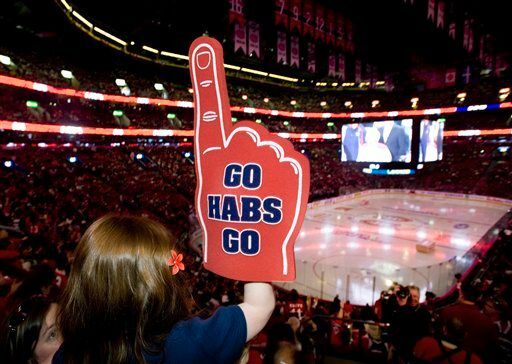 By defeating the Pittsburgh Penguins in the Eastern Conference semifinals tonight by a score of 5-2, the Montreal Canadiens became just the second 8-seed to advance past the first round of the NHL playoffs (the Canadiens were just the 9th number 8-seed to advance past the first round). The only other team to do it? The 2005-2006 Edmonton Oilers, who ran a hot streak past the Red Wings, Sharks, and Mighty Ducks to reach the '06 Stanley Cup Finals. The Oilers ended up losing that series to the Carolina Hurricanes (the Eastern Conference's number 2-seed) in seven games. However, not even the Oilers can share in the incredulousness of the Canadiens' run because, by beating the Capitals in the first round and the Penguins in the second, the Canadiens defeated the President's Trophy winners and the defending Stanley Cup Champions in successive series. And that's never been done by an 8-seed in the NHL playoffs. Ever. they could save up to 15% on their car insurance by switching to Geico. 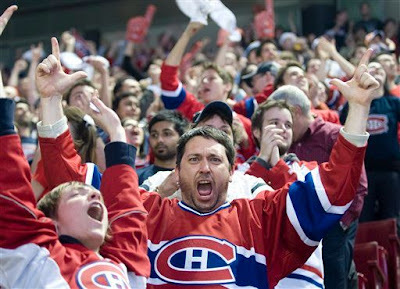 As a result of tonight's victory in Pittsburgh, I'm sure the 20,000 fans who packed the Bell Centre in Montreal are going bananas. That's right, tonight's game was a sellout hundreds of miles away in Montreal, where the Bell Centre sold out for fans willing to watch the game on the arena's Jumbotron. According to this report from CTV, the Bell Centre sold out in about 40 minutes. Tickets were sold by the team for $10 a piece, but scalpers reported that values had increased to about $40-50 at game time. When I see something like this, where a team can fill a stadium without even playing in it, I think about the power of sports - and also the power of media. Because it's not everyday you can attend an NHL-viewing house party with 20,000 of your craziest hockey friends.